The truth would set them free . . .
After her aunt twists her ankle. Brenna Gathers returns to her hometown to help run the bookstore, hoping to get out of Sheraton Beach as fast as she can. Unfortunately, she runs into Jabarie Beaumont, the gorgeous jerk who'd jilted her at the altar. And the truth was that even though he'd broken her heart years before, her attraction is still strong and undeniable. Jabarie has every intention of sleeping with the caramel beauty and finally get her out of his system. After all, according to his father, Brenna was nothing but a gold digger. Then Jabarie learns the truth. His parents lied to keep him and Brenna apart. 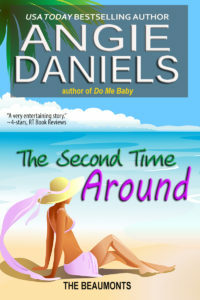 Now Jabarie is on a mission to show Brenna love could be even sweeter the second time around.